Before entering the Tomb Raider presentation at the Square Enix E3 booth, I was sure that I knew most of the game's features from earlier announcements and trailers. With my level of hype near critical, I thought it would be impossible to discover something more spectacular or surprising than witnessed in earlier media. After the Tomb Raider presentation was over and we were ushered out for more appointments, I walked away in a daze over the new features showcased in the best half an hour footage that I had seen since the convention's beginning. The footage shown at E3 demonstrated the level of quality that developer Crystal Dynamics is molding into the development of Tomb Raider. With a focus on telling a gripping narrative, introducing intense survival elements, and presenting absorbing visuals, the Tomb Raider revival is a refreshing experience for the series. 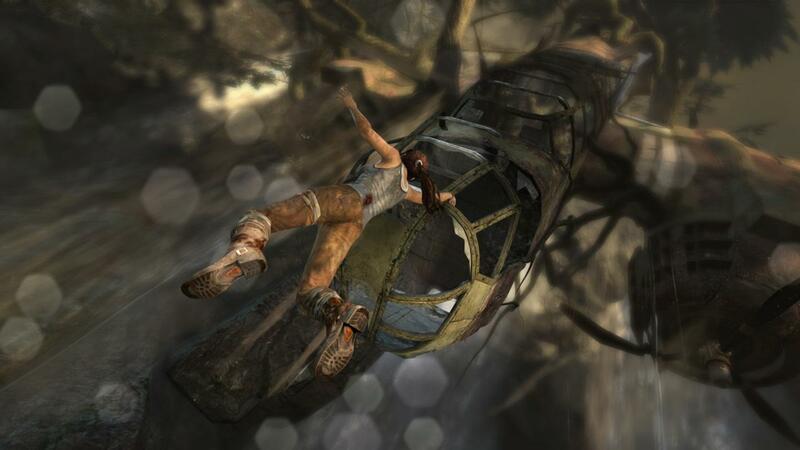 Tomb Raider tells the origin story of Lara Croft after the boat Endurance crash lands on an island in the Dragon's Triangle. Separated from the other survivors and stranded on a perilous island, Lara must use her instinct and will to survive against a group of mysterious and vicious mercenaries. Lara is a genuine character throughout the narrative that confronts an array of situations that challenge her physical and emotional endurance. I would have remain seated in my chair and quite content if the E3 presentation would have continued for a couple more hours showcasing the game's narrative. The recent "Crossroads" trailer, which is attached below, gives a good idea of the depth of storytelling that's found in the upcoming Tomb Raider. 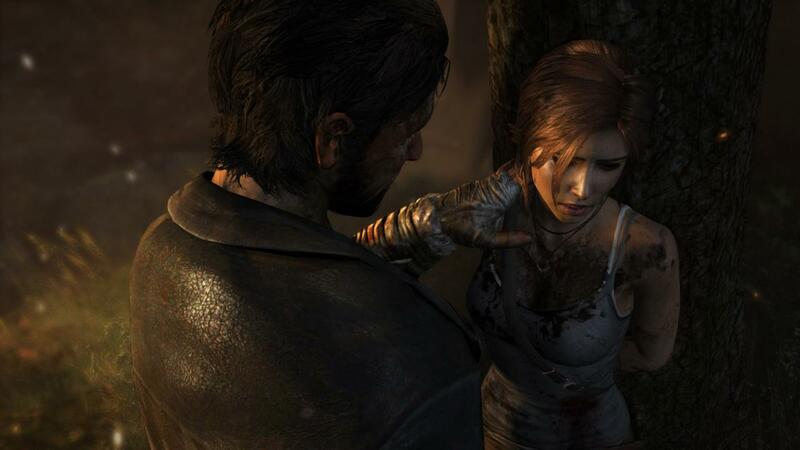 The game' presentation focused on a variety of survival elements that are vital to the gameplay of Tomb Raider. In each of the game's sections, Lara must discover a base camp that acts as her hub to upgrade abilities or to salvage resources for acquiring better equipment. 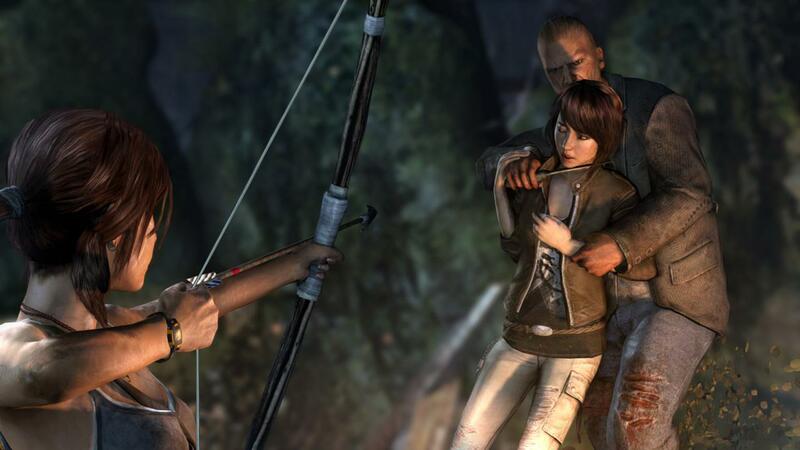 As well, Lara will now be able to explore various sections in the game's world that function as non-linear areas. These exploration sections include roaming wild life that may range from friendly deer to dangerous wolves. 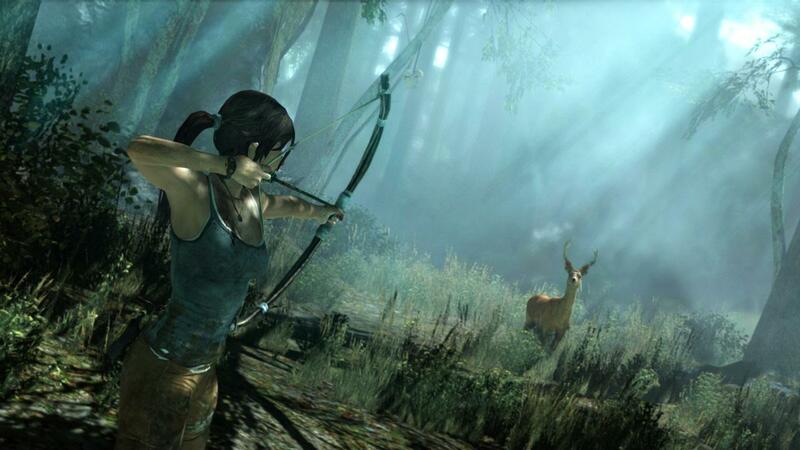 Equipped with a bow, Lara can use it to hunt deer that serve as food at the base camp. The survival elements and exploration areas were some of the most impressive features showcased during the presentation. Media released thus far for Tomb Raider has been gritty and absorbing, which turned out to be even more stunning with actual gameplay. I nearly forgot to take notes on a couple occasions during the presentation as a result of staring in awe at the gorgeous graphics. 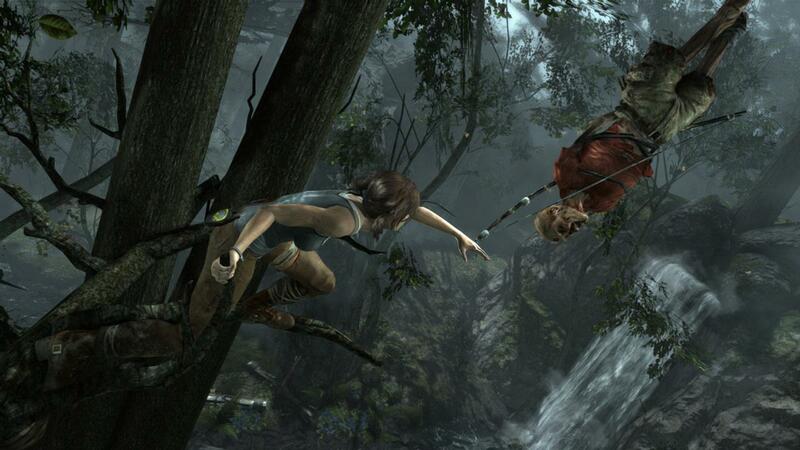 Lara moves through the environment with a particular finesse that showcases the game's highly-fluid animations. From water and dirt impacting Lara's appearance to the beautifully-crafted vistas, Tomb Raider features a striking level of detail and polish. If it isn't obvious by now, I was overly impressed with the features showcased during the game's presentation. The gripping narrative, survival elements, and engrossing visuals combine to make Tomb Raider one of the best games that I saw at this year's E3. 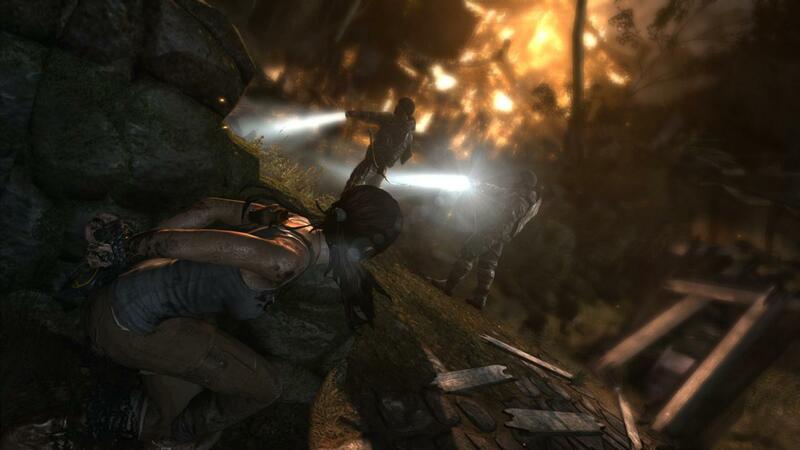 Tomb Raider is scheduled for release on March 5, 2013 for Xbox 360, PlayStation 3, and Windows PC.